WARNING: This product can expose you to chemicals including Di(2-ethylhexyl)phthalate (DEHP) and Lead, which are known to the State of California to cause cancer, and Bisphenol A (BPA), Di(2-ethylhexyl)phthalate (DEHP) and Lead, which are known to cause birth defects or other reproductive harm. For more information go to www.P65Warnings.ca.gov. Digital piano with matching stand, bench, sustain pedal and headphones. 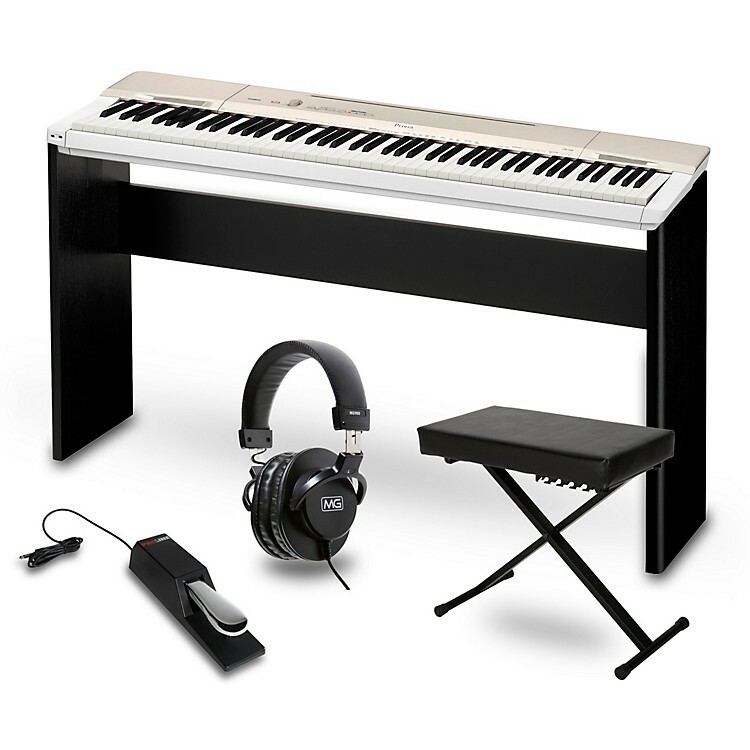 This complete keyboard kit features the Casio PX-160GD portable 88-key digital piano. It also includes a stand, sustain pedal, headphones and a keyboard bench. The Privia Series digital pianos have provided a strong option for people seeking an affordable digital piano with authentic sound and action since its introduction in 2003. The PX160BK is part of the latest version of the Privia series, housed in a champagne black chassis. It is stylish and handsome, and is every bit a Privia.